Rock out at the festival in this Woodstock hippie dude costume for hire. Great for a music festival or 1960’s retro theme party. 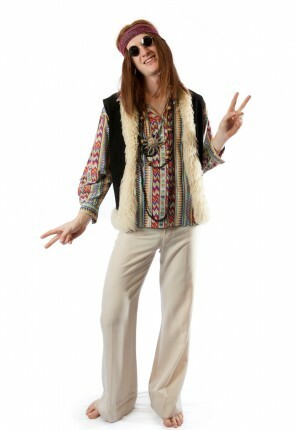 Costume includes flared pants, psychedelic patterned shirt, vest, wooden beads, retro hippy wig and headband.